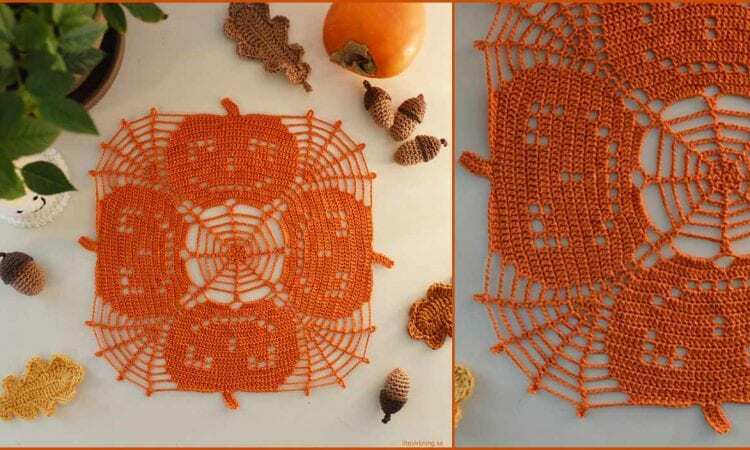 This doily is designed especially for Halloween, but will also be a beautiful decoration for any autumn dinner. The finished doily measures 11-12” after blocking. The airy spider webs are nicely offset by the densely stitched pumpkins, while the central spider web and the radial layout of the remaining components give it a nice concentric symmetry. Because this project is simple and works up quickly, it would be easy to make several for a more extensive room decoration. Link to a free pattern is below.